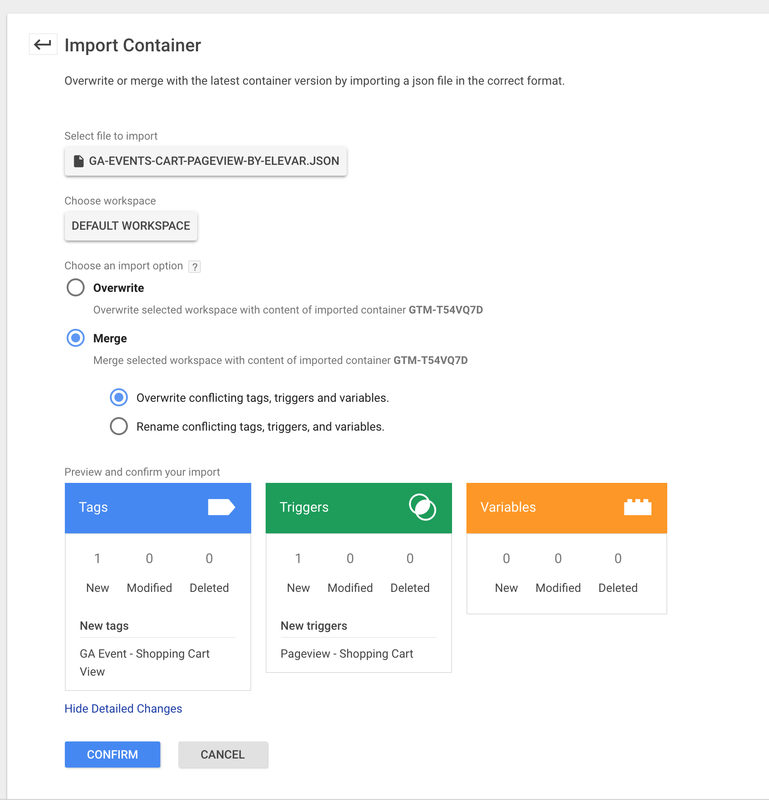 This recipe is for creating Universal Analytics Event Tags in Google Tag Manager when customers view a shopping cart page. This event allows you to create a calculated ratio of % of sessions that proceed to checkout after viewing your shopping cart which is a native insight to Elevar. Ex. If only 56% of users who view your shopping cart end up proceeding to checkout then this could be an opportunity to optimize this key funnel area. You might be asking why you need this custom event when you already trigger cart pageviews through your GA setup? The answer is because we are looking for session-level data for a user’s shopping activity and we can’t calculate this type of % based on pageview data alone. You’ll find (1) tags, (1) triggers, and (0) variables. Very easy! No modifications needed for this recipe. If you want to test this first: Import this into your GTM container, and prior to publishing go into preview mode and proceed to checkout. Try clicking the apply coupon button and you should see this tag fire in your GTM preview console.